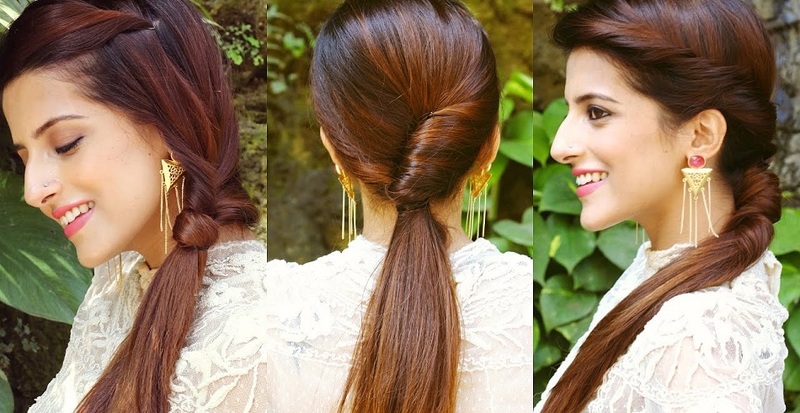 These are the kind of hairstyle that can be followed for any dance programs or during the party time. 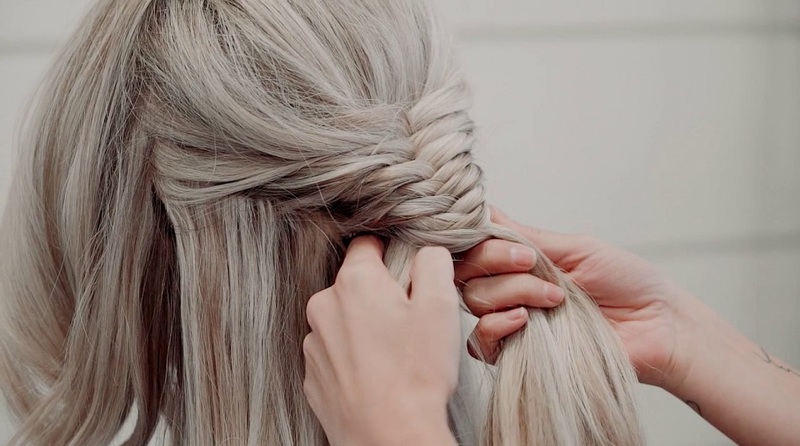 You need to separate your hair into two parts hold them in each hand and tie them like a shoelace., take the tail of the hair and twist hem at the right roll them in order to make a circular bun. Use bobby and u pins to and repeat the 5-6 left section of your hair and make them as the roll buns. Ponytails are common, but what is a double pony? When you have long hair you might try them. Divide your hair into two sections in a horizontal manner. Now tie the top section and lower section like a mid-level ponytail. After completing now you may untie the top one and comb them and give it some volume. Now again tie the top part as the pony just above the bottom pony and fan them, the top pony to hide the bottom one. The next easy hairstyle to do on yourself will be Semi-Dutch pony. 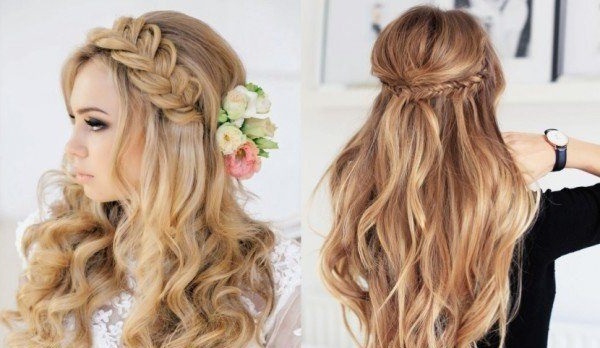 It is one of the easy, simple and beautiful hairstyles that you can have for your long hair. Have some texture spray on your hair so that you may easily hold them. Pick some hair on the top of your ear and separate them into three sections. Now Dutch braid the separated 3 sections of your hair by flipping them in top middle and side sections. When it reaches a certain level you can braid them with the hair elastic and secure them. Now collect all the hair including the Dutch and tie them as if you tie your pony. Use a part of your hair and wrap them around your pony, this helps to hide the band. It is one of the easy and simple hairstyles that have been for several years. It is considered to be a romantic and carefree style of hair. Have some salt and bring them on one side of your head. Choose 3 parts of hair to French braid the section of your hair and also add other hair form and continue it. When you have reach across your ears tie your elastic and secure them. Now, lose them so that you will have the softer and finished look. These are certain easy do it yourself hairstyles that you can try at the free time in your house. 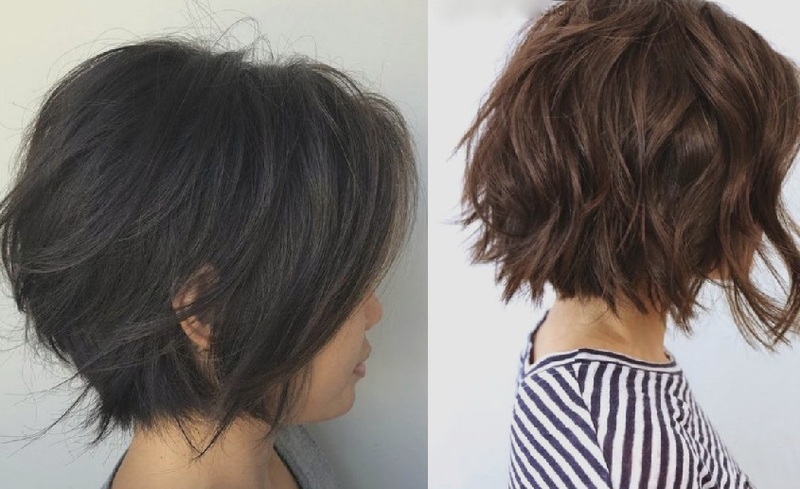 When you are doing them for a number of times you may also get some other kinds of hairstyle and start with the new styles. All the best! Try new styles and make yourself look elegant and stunning.